43:59 – Join Ruben in a soulful, bronchital state; a word that almost certainly doesn’t exist. Topics include Maslow’s Hierarchy of Needs, secret apartment doors, Apple keyboards really are that bad, stabbing myself in the eye with a poster, Australia’s obsessive coffee culture, Arashiyama in Kyoto, and accidental beverages. Break song by the delightful Good Mythical Morning gents who trained a predictive text bot. Released April 2019 on Rubenerd and The Overnightscape Underground, an Internet talk radio channel focusing on a freeform monologue style, with diverse and fascinating hosts; this one notwithstanding. 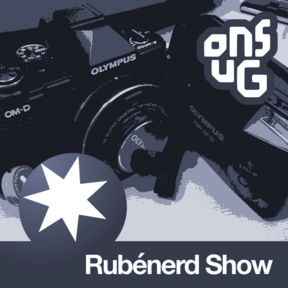 35:20 – A compendium of random recordings Ruben did with Clara over the last month. Topics include a modern moose, fabric couch advocacy, comparing Fate Grand Order addiction to Hearthstone and Pokémon, a tiny North Sydney park at night, Clara cosplaying Shielder, getting holiday beverages from an Aussie bottle-o, frustrating support questions, and Jimbo ♡. Proper Jimbo show coming up next. Recorded November and December 2017. Recorded in North Sydney, Australia. Licence for this track: Creative Commons Attribution 3.0. Attribution: Ruben Schade. Released December 2017 on Rubénerd and The Overnightscape Underground, an Internet talk radio channel focusing on a freeform monologue style, with diverse and fascinating hosts. 40:29 – Banana with apple, walking distance to work, uncooperative throat coughing and iOS 10 upgrades, never using Apple 1.0 releases, going to NYC and Philly, the Kobo, the US ESTA, the Clinton Trump debate, becoming an Olympus camera guy again, and a friggen vanishing iPad! 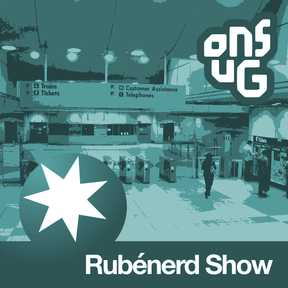 Released October 2016 on Rubénerd and The Overnightscape Underground, an Internet talk radio channel focusing on a freeform monologue style, with diverse and fascinating hosts. 24:05 – A shorter exposition of three terrifying scary trends: Ruben messing up Rubénerd Show 318, the changing of Lift to Fanta Lemon, and becoming subservient to computers through floods of information. Listener feedback provided by Jimbo. 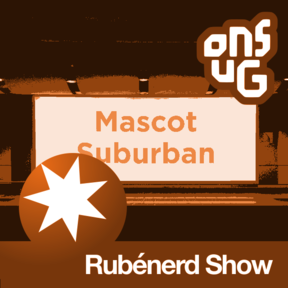 Released January 2016 on Rubénerd and The Overnightscape Underground, an Internet talk radio channel focusing on a freeform monologue style, with diverse and fascinating hosts. 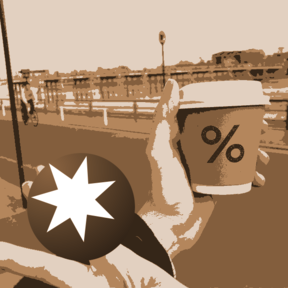 01:00:00 – Join me on a train trip to Sydney to have a coffee, then the train trip back! Random topics include office space, NABERS (? ), venture capitalists, spring hay fever, cubicles, Perl, introversion, what could have been, space and perceptions, commutes, squeaky carriages, not travelling between doors, grade separation, New York schist and Sydney sandstone, junk food for vegetarians, chicken salt, Brands Essence of Chicken, apple flavoured Yakult, Starbucks, light rail, Americanos and long blacks, train platforms, losing wallets or phones, Tiles, micro-obsession with Canned Heat, and how to irritate hipsters. Released October 2015 on The Overnightscape Underground, an Internet talk radio channel focusing on a freeform monologue style, with diverse and fascinating hosts (this one notwithstanding).